Jim Riffe of Riffe Homes has created another lifestyle community at Woodland Trails in Greenwood, Missouri. Woodland Trails offers beautifully placed custom luxury homes for sale, nestled among artistic landscapes and replete with amenity packages. Riffe Homes is an established custom home builder in Lee’s Summit, bringing to Greenwood the same attention to detail and creative vision that made Woodland Shores the premier lakeside community in Lee’s Summit. The vision for Woodland Trails is for it to be a haven for active individuals and families of all ages to enjoy. The community offers customized, beautiful homes for sale in this highly-sought area of Eastern Jackson County. It integrates resplendent views and scenery with an unparalleled amenity package for the price range. Located just south of Lee’s Summit in Greenwood, Missouri, Woodland Trails is situated within the highly-acclaimed Lee’s Summit school district. We have the perfect home to meet your family’s vision and needs. 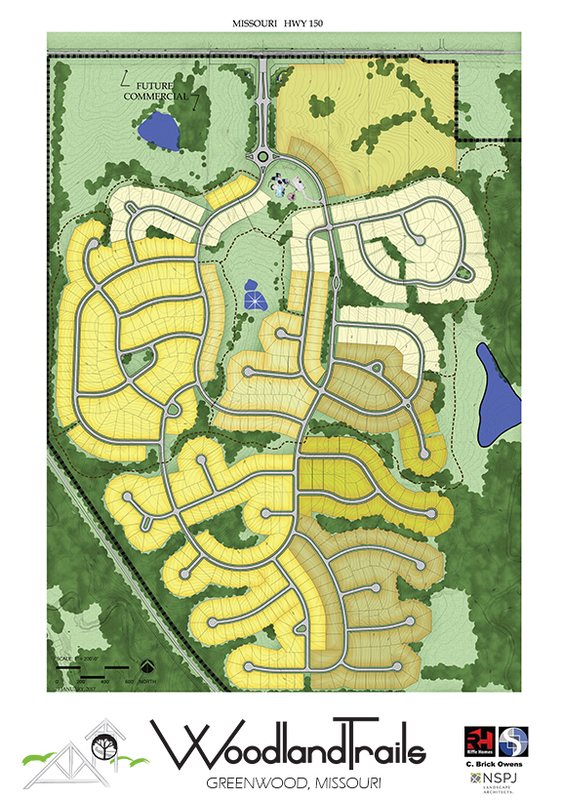 Woodland Trails is landscaped with miles of paved walking trails designed to appreciate the natural surroundings that grow throughout our community. Big Creek is a waterway that flows through the native gorges located at the fringes of the community. Four ponds, peaceful grass meadows and the surrounding woods with twisted oaks and native elms offer a natural respite for wildlife. Designed to complement the natural beauty that surrounds it, Woodland Trails offers a variety of carefully designed homes. 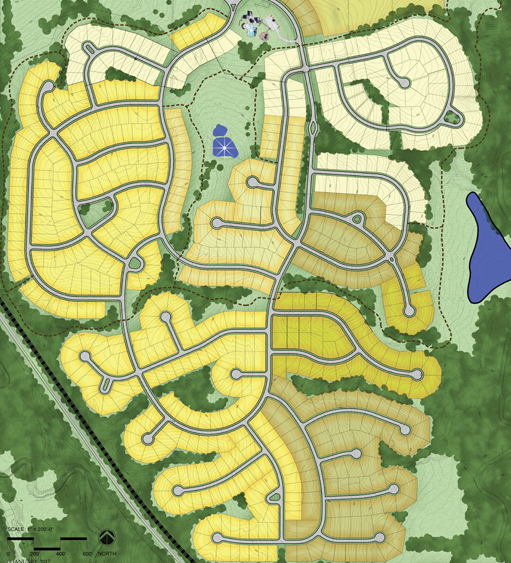 We have a large selection of homes and home sites with spacious walkouts available for home buyers. New Build site prices range from $49,950 and $89,950. 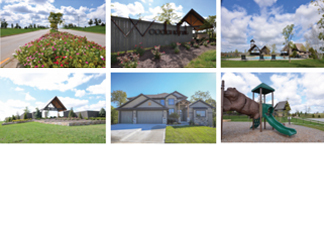 Woodland Trails is conveniently located in the acclaimed Lee’s Summit school district. Parents can feel at ease knowing that their children have access to outstanding schools. 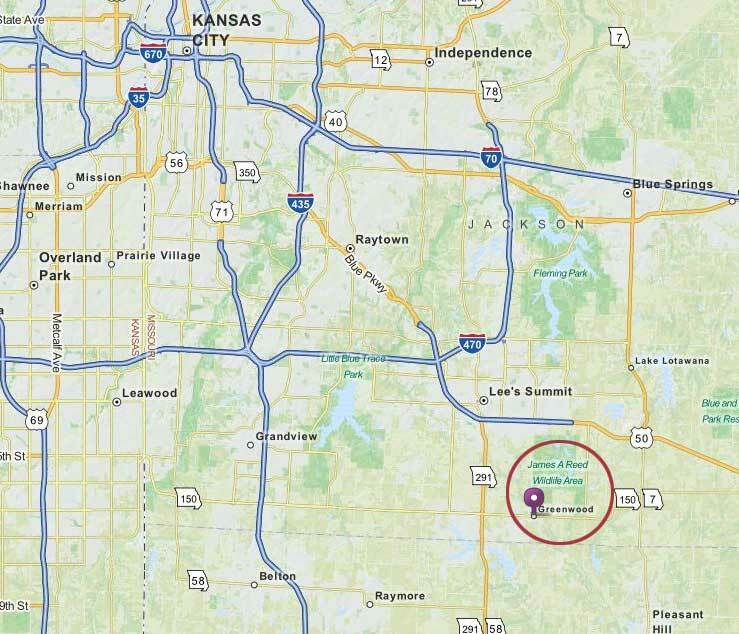 In addition, the location of Woodland Trails allows easy access to the amenities and activities in Kansas City. Families with a love for the outdoors will enjoy the many activities available in the area. For more information about the beautiful and spacious new homes for sale in the Woodland Trails community, call us at (816) 875-6410.